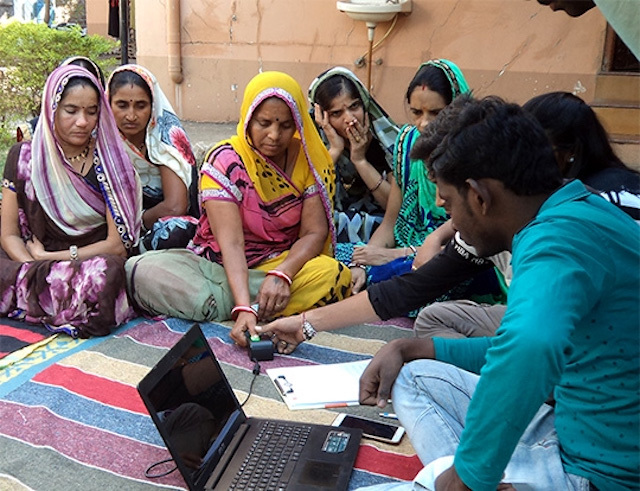 In India, the world's largest producer of cotton, women farmers are training in farming, business, and digital savings skills that are helping them to increase their incomes and decision-making power, both on the farm and at home. Kavita Patel (right) is learning how to leverage improved farming practices, business skills, and digital savings platforms to boost income from her cotton crop and take on more leadership in her farming business. 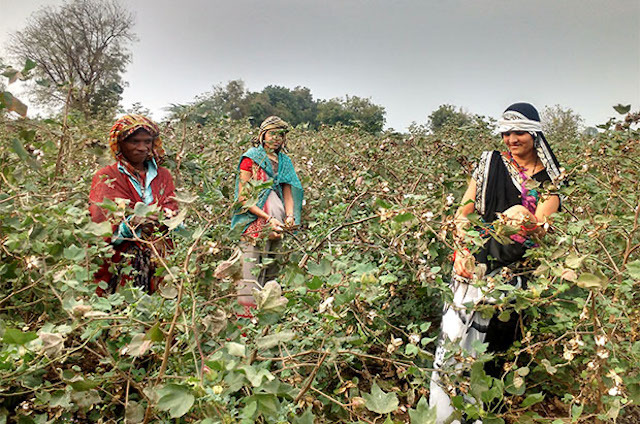 Late November is peak time for harvesting cotton in Khargone district of Madhya Pradesh state in India, and Kavita Patel and her co-workers are out early in the day trawling the fields owned by her family. Her keen eyes pick out the mature open bolls in the thorny cotton bushes. With nimble fingers she works quickly, plucking out the fluffy, white raw cotton and stuffing it into bags strapped to her shoulders. 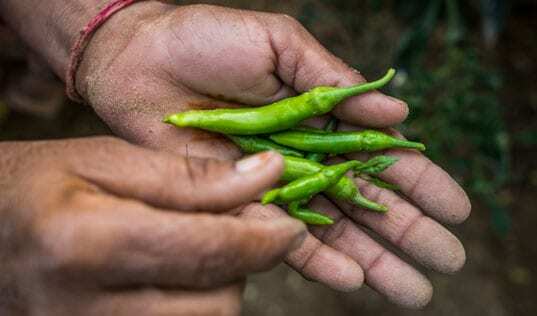 She will have to complete several more rounds of handpicking over the three months of the harvest season, meaning Kavita will have to juggle field work alongside her many family and household responsibilities. India is the world’s largest producer of cotton, and millions of women are employed along the cotton value chain, working either as farmers or as workers at gins, mills, handloom yarn-spinning units, or at large local and multinational garment manufacturing facilities. According to the International Trade Centre, women account for 70 percent of the labor in cotton planting, increasing to 90 percent of the workforce for handpicking. Meanwhile, they still take care of their households. In Madhya Pradesh, one of India’s top cotton-producing states, 80 percent of the region’s 170,000 cotton farmers are small holder farmers. Despite their dominant role in farming, women have a disproportionately diminished role in land ownership and decision-making. Women therefore remain on the fringes of social and economic development, unable to access markets, financial services, and opportunities for advancement. This value chain imbalance not only effects women, but the entire industry. Evidence shows that yields improve when women workers have an influence on business and household decision-making, potentially leading to a 40 percent increase in profits. Research also indicates that women who have more agency over the profits of their labor contribute a range of benefits to their families and communities. To empower Kavita and many others like her, TechnoServe – in partnership with Visa Inc. and Gap Inc.’s P.A.C.E. 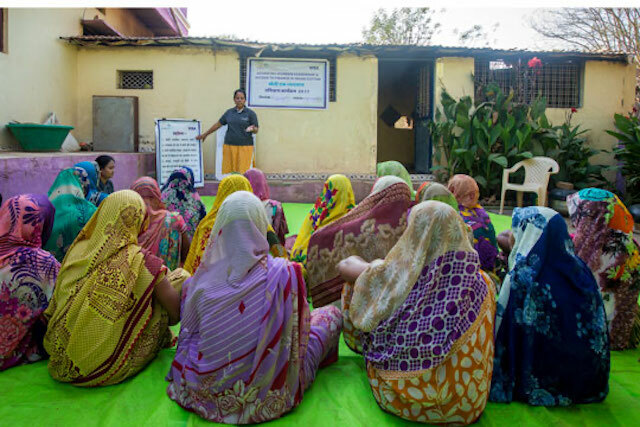 program – is working on a year-long pilot project on “Advancing Women’s Leadership and Access to Finance.” This initiative covers 60 villages in Khargone and Barwani, two of the prime cotton-growing districts in Madhya Pradesh. Started in April 2017, the project aims to improve the livelihoods of families in cotton farming communities by giving women the skills and tools they need to effect more control over how they live, work, and plan for the future. The program provides life-skills training and supports women to increase their membership and leadership roles in farmer producer companies, and to access financial services. TechnoServe has linked up with two farmer producer organizations in the region, the Khargaon Producer Company Limited and Thikri Farmer Producer Company Limited, in order to channel the initiative’s efforts through local stakeholders who will be able to sustain project activities into the future. TechnoServe field staff partnered with financial service providers to train women in the safe and effective use of bank accounts and payment platforms. Women’s lack of options for accessing finance continues to be a major challenge, mainly due to their historically limited participation in commercial transactions, and poor knowledge of the financial products and services available in the market and under various government schemes. In the project area, one-fourth of the population is particularly disadvantaged when it comes to literacy and accessing financial services. However, over the past three months, 180 women – a sub-set of the target group – have benefitted from access to various financial services right at their doorstep. In order to connect women with viable options in their communities, TechnoServe field teams elicited interest from a group of women, and then arranged for banking representatives to convene at a local residence where they could meet with women to process their papers, the first step to opening bank accounts in their own name. By managing their own accounts, women would be able to save formally and safely; to withdraw funds as needed; grow their own investments’ and enable digital payments from their producer companies. In rural areas, bank branches are often miles away, meaning transactions often require an entire day. The initiative therefore worked to connect participating women to bank kiosks located closer home. The project also helped to enroll participating women in insurance schemes offered by the government. 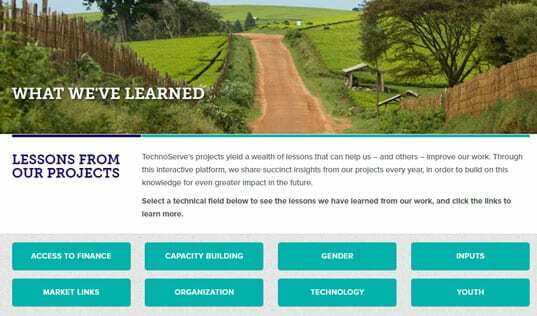 TechnoServe staff trains women farmers in "Farming as a Business," teaching them key agricultural and business practices to help their farms thrive. Women in rural production systems, especially in the cotton value chain, remain on the periphery of social and economic development and are provided little opportunity to participate in value chain governance. As their contributions go unacknowledged, they are not offered the same training or support as men. To bridge the training gap in the cotton value chain, the TechnoServe field team worked with banking service providers to provide participating women with the knowledge and confidence to effectively employ these new financial strategies. First, they collaborated to conduct demonstration sessions and awareness campaigns around how to safely use ATM cards and other methods for cashless transactions, such as digital and mobile banking. In the coming months, the project will roll out these support services to more women, further extending financial inclusion for women in the region. TechnoServe then helped women farmers to leverage these new financial tools towards greater business success on the farm. 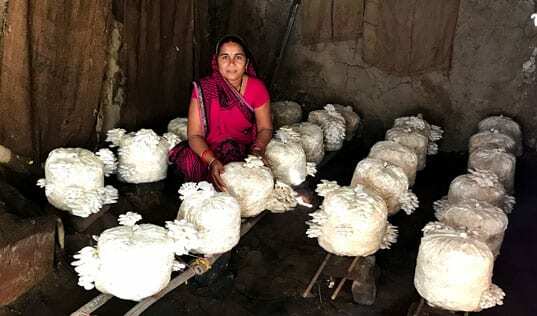 To date, over 200 participating women have participated in group training sessions on ‘Farming as a Business,” perhaps their first such exposure to the economic side of cotton farming. As Kavita Patel said, “I like this lesson as I am now able to understand the business aspects of cotton farming. I am happy to play a greater role in the family business and as a shareholder in the producer company.” Under the pilot program, over 600 women will be equipped with knowledge and tools in personal finance and business processes, as well as other important topics such as health, nutrition, occupational hazards, rights, financial services, and communication. Beyond the farm, the commercial viability of farmer producer companies is crucial to the prosperity of the cotton farming community. Set up within the last ten years, the project’s two partnering producer companies have suffered from governance issues and a lack of working capital. Over the past few months, the TechnoServe project team arranged working capital sanctions from mainstream financial service companies amounting to $114,000 (INR 73 Lakh), allowing the organizations to scale up of operations and generate more income for distribution to shareholders. The winds of change are indeed blowing over the rural landscape of India. Women like Kavita Patel are gaining knowledge and the confidence that accompanies it. Such transitions pave the way for women to better negotiate for themselves within families, institutions, and communities, building better livelihoods that extend to their families and beyond.